WHAT IS STONE RESTORATION AND RESURFACING? Marble floor cleaning and restoration is the restoring of worn or neglected stone to the state in which it was installed. It may also entail the altering of the stones surface to match a desired finish of the installation's owner or management. In some cases an owner may desire a polished surface to be honed. Restoration is a process that can only be done by a professional trained stone restoration company that is licensed by the State. A maintenance or carpet cleaning company will not have the proper tools or experience to restore natural stone. The investment of knowledge, equipment and experience needed to understand and work with stone properly is greater than what your average carpet cleaning person. Lippage Leveling: Most tile floors are not set perfectly level. 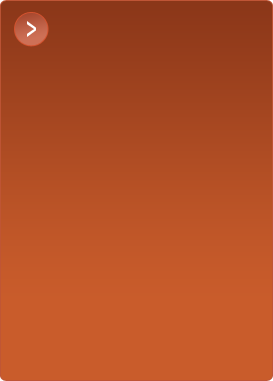 This means that there will be a lip where one tile is slightly higher than the next. I can hone your natural stone floors flat, removing the lippage. Honing: We can remove any scratches on the floor, and restore to a beautiful honed finish. Polishing: We can remove any scratches, and refinish the floor to a beautiful high gloss polish. Marble polishing and Granite polishing is our specialty. Sealing: We have a vast knowledge of the different sealers on the market. Whether its water based, solvent based, silicone based, mineral based, or color enhancing choose which impregnating sealers are the best for your particular stone. Tile and Grout Deep Cleaning: We offer deep cleaning of tile and grout using specialized cleaners. Your tile and grout look like new again. Marble cleaning and limestone cleaning is our specialty. Grout Color sealing: Use of a coloring epoxy stain which bonds to the grout, and gives a uniform color. Color sealing also protects against water penetration and oil stains. Caulking and Gout Repair: We offer caulk and grout removal and re-caulking around sinks, fixtures and tubs. Polishing Granite & Marble / Resurfacing Counter: Grinding seams flat, then polishing back up to match the factory finish, and make the counter top feel like one continuous piece of stone. Seam Repair and Detailing: Many counter top installation companies use one color for their seams. Stone Seal can detail your seams so that the colors match throughout then polish, and help to disguise the seams appearance. Scratch Removal: Scratches can be removed from your counter top, and polished to a matching finish. Stain Removal: We can remove most stains using various methods. The application of a poultice works even on Granite Counters. Chip Repair: Chips can be professionally repaired on your counter tops using color matching Epoxy or Polyester products. Crack Repair: Using a color matching penetrating or flowing epoxy. Honing: Using diamond abrasives to produce a satin smooth finish. A low Hone finish will have low gloss; a high hone finish will produce a satin sheen. And if etching does occur it will not as noticeable. Polishing: With natural stone polishing for counter tops, we polish the counter and edges brings your counter top back to life. Sealing: This final and most important step protects the stone and grout from within, allows the stone to breath and the same time not allow water and oil to penetrate your counter. Marble Floor Polishing, Restoration, Repairs and Sealing. If your needs are Marble Polishing, Granite Sealing, Chip Repairs, to Stain Removal. Stone polishing and sealing in Atherton and Menlo Park CA 94025. I clean marble and limestone and specialize in stone polishing in Santa Cruz, Hollister and the SF Bay Area. 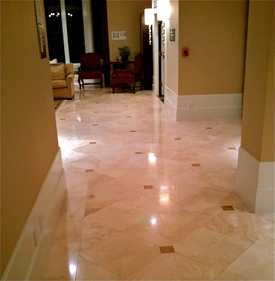 I clean marble and tile for commercial property in the sf bay area. 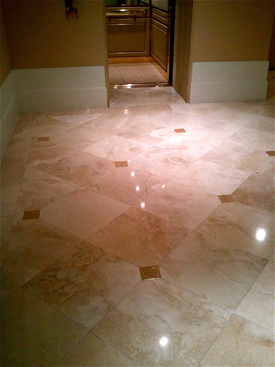 I proudly serve the San Francisco Bay area with tile cleaning, sealing and polishing in Atherton CA 94027. Granite sealing in Palo Alto CA 94302 tech stone care is my pride serving the Bay area. Give me a call anytime I am always in the atherton, menlo park, san francisco bay area ready to serve. I have the latest techstone techniques in the Bay Area. I seal granite counter tops and marble floors in Palo Alto, SF Bay Area and Silicon Valley it is my pleasure to serve you. We also carry the Stone Tech Dupont warranty program in the silicon valley and San Jose. Marble and Granite sealing in Santa Cruz and Aptos CA 95003. I do granite and marble sealing in Hollister. Stone care in San Francisco ca 94104 is where i seal marble and granite in san francisco. Marble polishing in san francisco ca 94107 and marble and granite sealing in san francisco 94105 ca we also polish carrera. Call anytime we polish and seal marble and granite in San Jose and Hollister CA 95023 95024 Thank You! Salturnia Services Include : Salturnia cleaning , Salturnia polishing , Salturnia restoration , Salturnia flattening, Salturnia grinding, Salturnia filling holes, Salturnia fixing cracks, Salturnia repairs, Saltillo tile mexican tile cleaning and maintenece. Proudly serving the following cities : Carmel, Carmel by the sea, Carmel Valley, Pebble Beach, Monterey, Monterey County, Salinas, Salinas County, Marina, Santa Cruz, Santa Cruz County, Aptos, Capitola, Soquel, Scotts Valley, Boulder Creek, Felton, Hollister, San Jose, Cupertino, Los Gatos, Los Altos, Saratoga, Silvercreek, Silicon Valley, Willow Glen, Fremont, Sunnyvale, Mountain View, San Jose, Morgan Hill, Gilroy and other sourrounding areas.